A Honda Civic regularly ranks as one of the most popular cars in the United States. If you’re interested in an attractive, reliable, and affordable car, a Honda Civic is definitely one to consider. Are you interested in purchasing a Honda Civic? If your budget doesn’t allow for you to purchase one brand new, consider buying a used one instead. There are lots of benefits that come with buying a used Honda Civic. Read on to learn more about these benefits. You’ll also learn some helpful tips to keep in mind when you begin shopping. Why Buy a Used Honda Civic? Why would you choose to buy a used Honda Civic? Honestly, why wouldn’t you? Did you know that most new cars depreciate about twenty percent when you drive them off the lot? After owning them for just one year, the car will end up losing another 10 percent in value. That’s a lot of money to lose in a short period of time. When you buy a used car, you get to avoid that depreciation. This is especially true if you purchase a relatively new used car (two or three years old, for example). Depreciation tends to flatten out after the second year of owning a car. It costs a lot less to insure a used car than it does to insure a new car. If you’re looking to keep your insurance premiums low, it’s a good idea to buy a used car. It might also cost less for you to register your car if you buy it used instead of new. State registration fees are usually based on the transaction price of the car. If you don’t have a ton of money to spend on a car, buying used allows you to stretch your dollar and get more bang for your buck. Keep in mind that car manufacturers typically do not redesign their cars every year. As a result, you can buy a gently used car that has the same features as the newest model. Many used cars come with a cheaper sales tax than new cars. Depending on where you purchase the car, you might be able to avoid paying sales tax altogether. Okay, maybe not forever. But, they do last a long time. 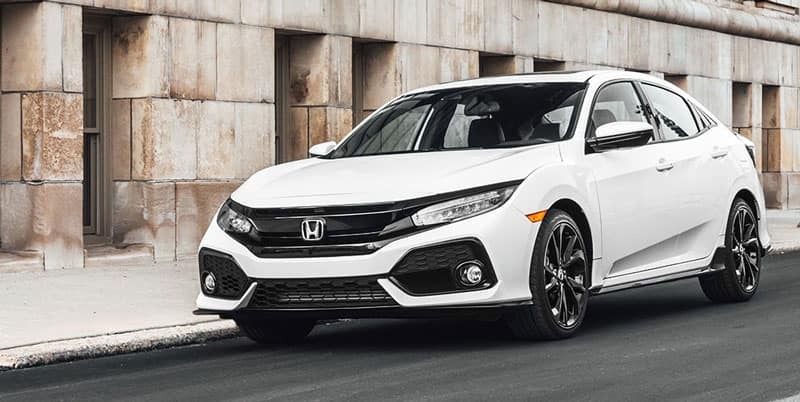 All Hondas, but especially Honda Civics, are known for being reliable and lasting a long time without many — if any — breakdowns. If you’re looking for a reliable car that you can drive for years and years — and possibly even pass on to your kids — a Honda Civic is a great option. When you are looking to purchase a used Honda Civic, start by looking at the exterior surface. Are there any major scratches, dents, or dings? A little bit of wear and tear is common when you’re buying a used car, especially if it’s more than a few years old. At the same time, though, it’s important to take note of any serious issues with the car’s surface. Once you’ve finished looking at the exterior of the car, take a look at the interior. Are there any signs of wear and tear on the car’s upholstery? What about the dashboard and floor mats? Pay attention to the way the interior of the car smells, too. Do you smell cigarette smoke, mildew, or any other unpleasant smells? If you’re nervous about the condition of the used Honda Civic you’re considering buying, ask to see a copy of the car’s service and repair records. This will help you get a clear idea of what has been done to it and if there are any issues of which you ought to be aware. When you’re inspecting a used car, be sure to look for rust. Pay special attention to the hood, trunk, and the underbody when you’re on the lookout for rust. Minor rust or abrasions aren’t a huge deal, but if any part of the car appears to be rusted through, that’s a big red flag. Take a look at the electrical system of the car before you buy it, too. Look under the hood for any frayed wires. Sit behind the wheel, too, and check the functionality of the systems that rely on electricity, such as the horn, headlights, radio, and interior lights. Of course, you should take the used Honda Civic you’re interested in buying for a test drive before you make any decisions. Spend at least 15 minutes driving it. Pay attention to how easy the car is to handle, how responsive it is, its acceleration, and its gear shifts. Make sure the cabin is quiet when you’re driving, too. Finally, consider the comfort of the car and how compatible it is with you and your needs. Pay attention to how you feel driving it and check to see if the amenities (adjustable seats, lumbar support, cupholder placement, etc.) work well for you. Make sure you can see easily when you’re sitting behind the wheel, too, and make sure that you feel comfortable while driving it. There are lots of reasons to consider buying a used Honda Civic. If you are ready to purchase this car, be sure to keep these tips in mind so you can make sure you’re buying the right car for your needs. Are you ready to purchase a used Honda Civic? 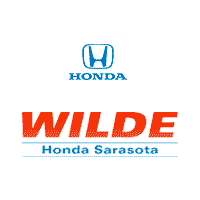 If so, we can help at Wilde Honda. Check out our used car inventory today to find the right Honda Civic. You can also come on down to our dealership in Sarasota and check out our inventory in person!